At Now Resorts & Spas, we are lucky to be surrounded by incredible natural beauty. We love celebrating Earth Day to remind ourselves to be thankful for the extraordinary natural environment that makes Now Resorts & Spas so special and how important it is to protect the earth so that future generations may enjoy these wonders as well. 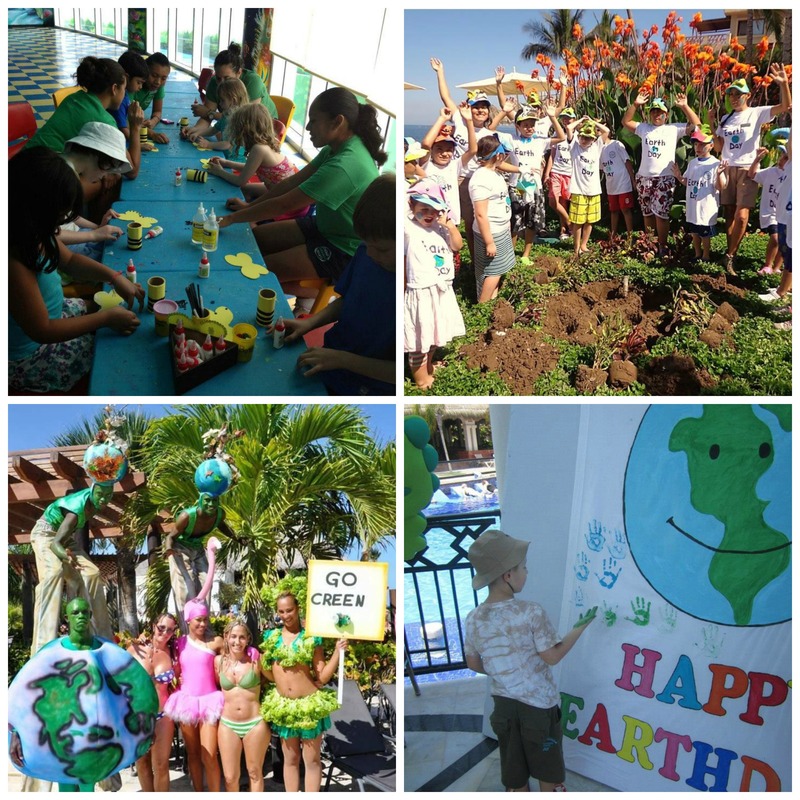 Guests at Now Resorts & Spas celebrate Earth Day! We have all sorts of plans in store to make this Earth Day fun for all, including a fun day for children in our Explorer’s Club! Kids at Now Sapphire Resort & Spa, for example, will get to decorate a recycled pot for plants, learn about planting, complete a nature scavenger hunt and more. Check out photos from our Earth Day celebrations last year! We hope to see you soon at Now Resorts & Spas! 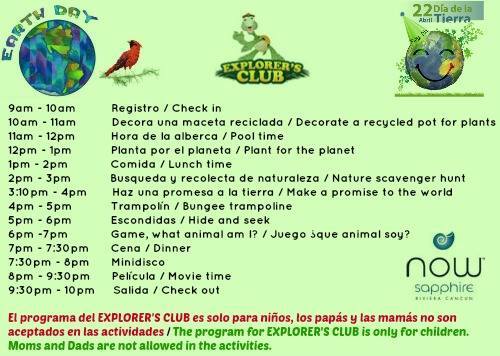 Explorer’s Club Day Plan for Earth Day at Now Sapphire Resort & Spa! This entry was posted in Now Amber, Now Jade Riviera Cancun, Now Larimar Punta Cana, Now Resorts & Spas, Now Sapphire Riviera Cancun and tagged Earth Day, explorer's club, Now Amber, Now Amber Puerto Vallarta, now jade, Now Jade Riviera Cancun, Now Larimar, Now Larimar Punta Cana, Now Resorts &, Now Sapphire, Now Sapphire Riviera Cancun. Bookmark the permalink.